And now, after weeks and weeks of building, making mistakes, ordering parts, making more mistakes and repeating, I have....THIS! I highly recommend building a bike, if for no other reason you get a photo album at the end where you can go over the different stages of development, like baby pictures. And like a baby, it grows up so fast. I will say this: it took me a huge amount of time to adjust the front derailleur, but once I did I was able to add a few other features to make this bike my own. 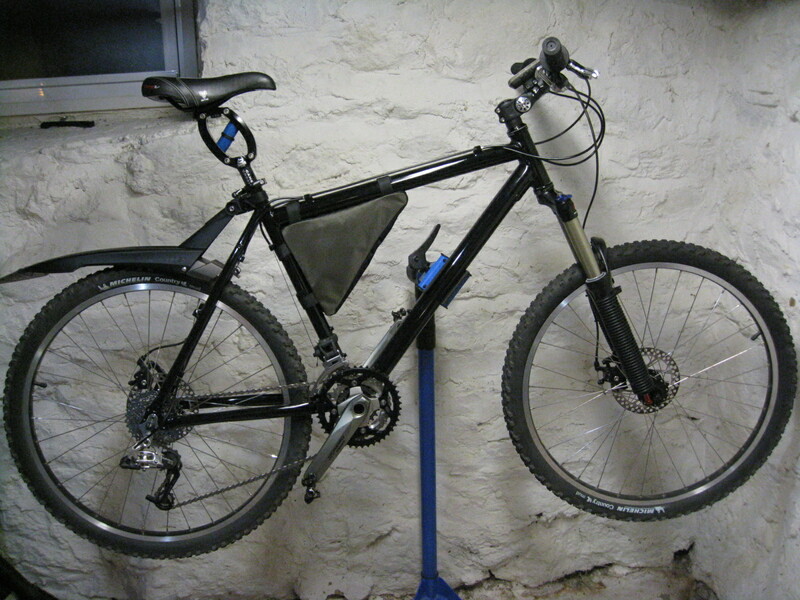 The ToPeak Defender I bought from Greenwich Bicycles had, as I found out when I got it home, received some negative reviews online. However, the ones I read had to do with the fender not staying in place over the wheel. 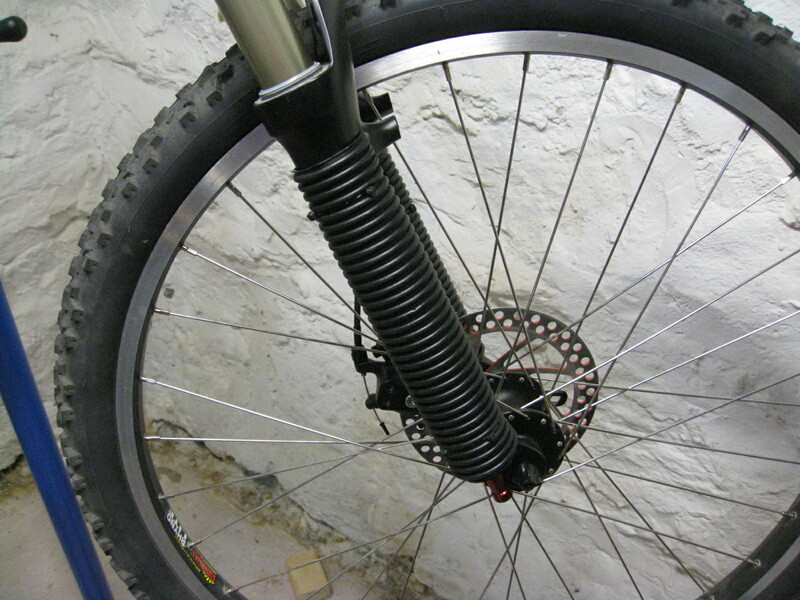 Yes, it is mounted to the frame, providing barely enough clearance for the tire. 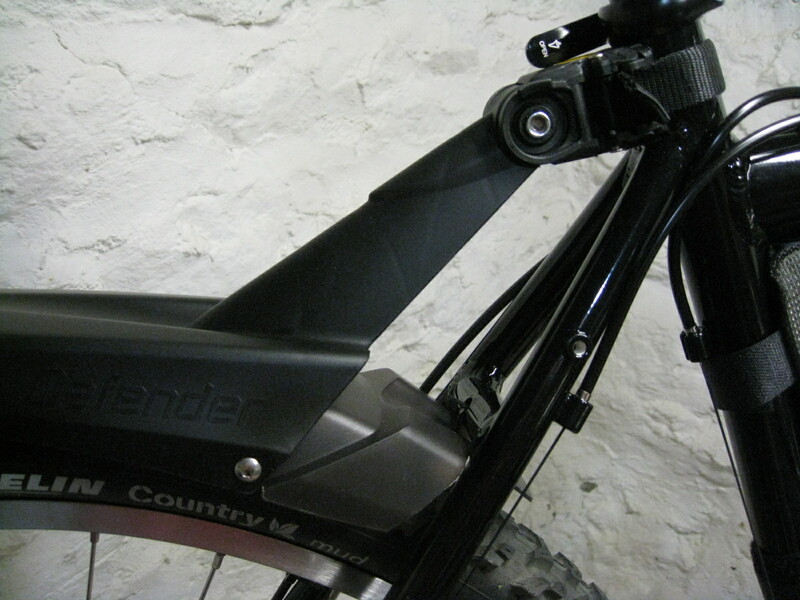 I used tin snips on the fender to trim away the plastic before drilling a hole. I then inserted a plastic wire tie, which help keeps the fender in place. I also decided to make shock boots out of a piece of vacuum cleaner hose. The boots are light, keep everything from getting scratched or dinged, and actually looks pretty cool. Well, I think so. Now, I wanted to document my first ride with it in a special way, so I seriously thought about buying an HD Hero video camera. But I was just about out of money for this project and couldn't think about spending a dollar more for a while. Then I remembered something: over the summer of 2010, I bought an iPod Nano 5th Generation, which has a video camera built right in it. It's a nice little extra feature, and I don't understand why Apple took it away when the 6th generation came out a couple of months later. Maybe they wanted to stockpile it for the iPad 2. 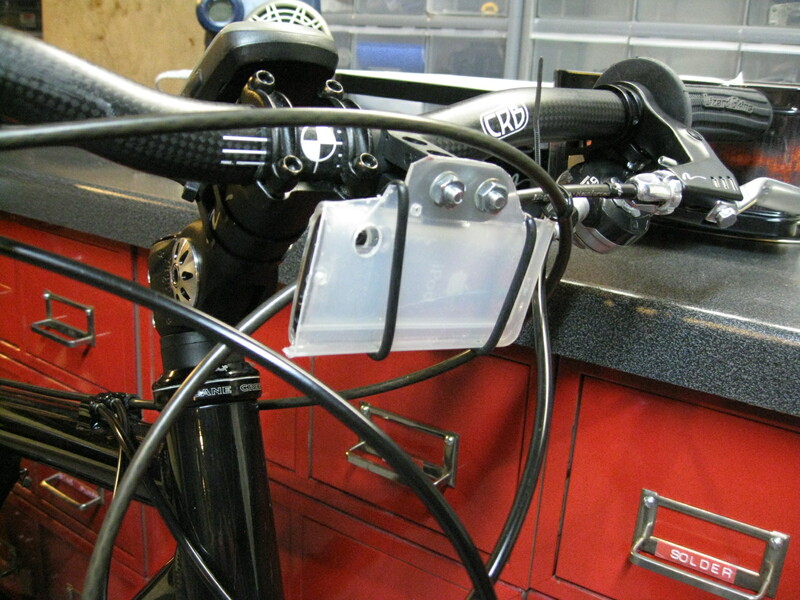 ...and I found some rubber O-rings and some old plastic mounting bits from a bike's rear reflector. The discovery of an unused parts sorter gave me everything I needed. Now, it isn't an HD Hero. I mean, it is a bit awkward to turn the camera on and off and it isn't waterproof, but on the other hand it didn't cost me anything and I had fun building it. I'll post a video of the first ride another day, but the Five Boro Bike Tour is the day after tomorrow, and there's still a bit more tuning and adjusting that needs to be done on the museum piece I'll be riding.